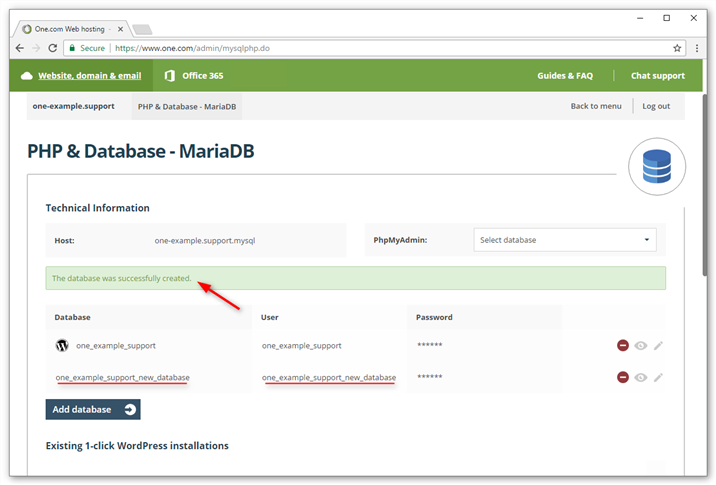 You can create additional databases in the One.com Control Panel under PHP & MariaDB. Note: Multiple databases are not included in the Starter package. Find out how to upgrade your subscription. 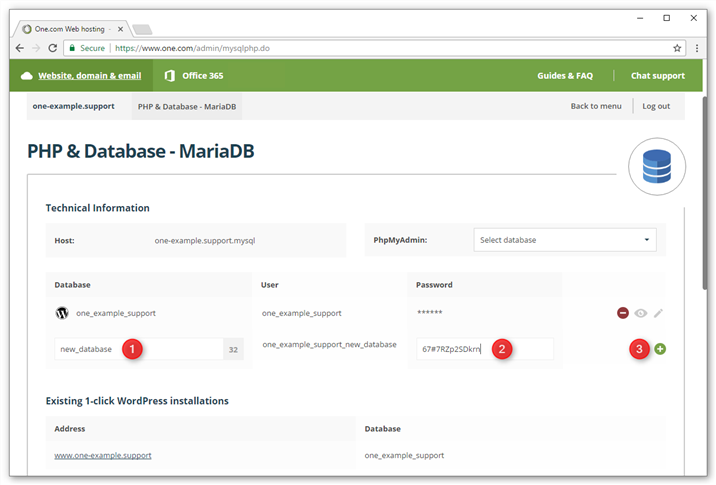 Log in to the Control Panel and click PHP & MariaDB. Enter a name for your new database. The number to the right indicates the amount of characters left. The database name will always be the same as the username that you can see under User. 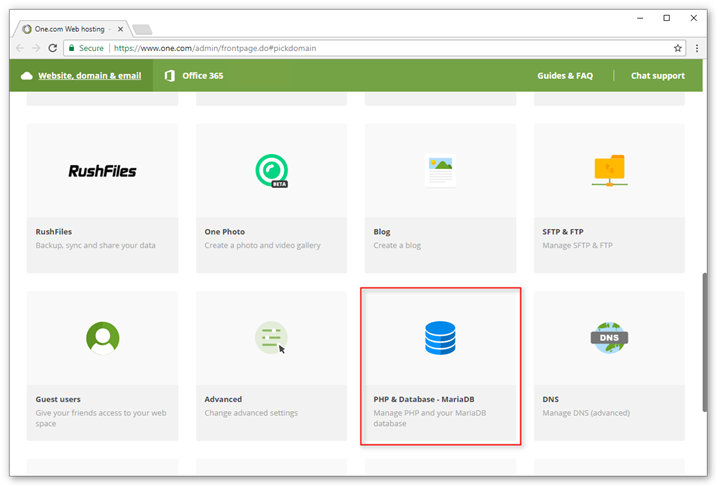 Enter a password for your database and press the green + icon to the right to save. 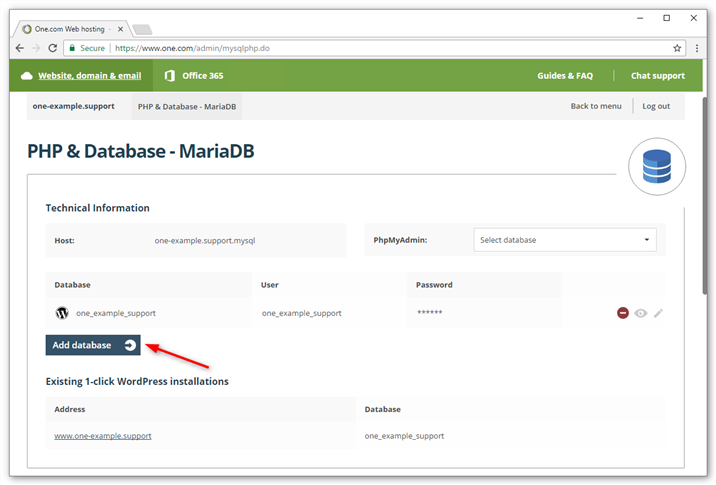 Click Select database in the top right corner to access your database in phpMyAdmin. How do I create a connection to the database?